In our experience, burgeoning authors spend a lot of time developing their manuscript. They may even create a strong proposal that covers the business and creative aspects of their project. Then they freeze. They feel as if they make one misstep and don’t follow all the (often invisible) rules, their project will be dismissed, rejected. We’re here to reassure you. If you’ve put together a solid proposal about a compelling concept with great writing, you will get serious consideration from an agent or publisher. Your proposal won’t be kicked to the curb because you stapled it rather than used a binder clip. Your submission packet should include your cover letter, your proposal, and any additional materials (if applicable). And for additional tips, here’s a handy checklist to make sure you’ve crossed your “T”s and dotted your “I”s. Include a footer on every page of your proposal that includes your name and page number. Staple or binder clip the pages together. Use your best judgment when it comes to presentation (double-spaced, easy-to-read 12-point type is always a good way to go). Spell check, proofread, be consistent in formatting (bullets, headlines), and enlist a second set of eyes to do a final read. While it’s not necessary, you can use letterhead/heavier stock for your cover letter. Be as specific as you can when addressing your packet. If you have a particular editor or agent to send your proposal to, great. If not, it’s fine; it will be reviewed by an appropriate person (it can be addressed to “Children’s Editor,” for example). Do not give a publisher or agent more sample text than outlined in their submission guidelines. Giving them more than they ask for in terms of other components of the proposal (marketing and competing titles, for example) is always okay. Unless otherwise specified in the submission guidelines, send your proposal via snail mail and be patient regarding a response. If there is an e-mail posted, contact the publisher or agent when the allotted time has passed. While it’s good to heed the differences of submission guidelines (length of sample text, for example), don’t freak out about over-customizing your proposal. Most proposals can go as-is to multiple publishers and literary agents, as long as you have a complete, robust presentation. What’s most important is whether the CONCEPT is the right fit for that publisher or agent. Want to make sure your submission lands you a publishing deal? Join our upcoming webinar: How to Score a Book Deal. You’ve got a book idea, but how do you get it out of your head—and onto the shelves? We’ll show you how to hone your idea, assess the competition, bulk up your author bio, choose the right sample text, strategically research publishers and agents, and develop a complete proposal, giving you all the tools you need to create a savvy, on-point submission. All this in a 2-part live webinar on November 12 & 19 at 6pm PT (and you can watch is over and over at your convenience). With all the recent changes in publishing, there’s been increased moaning about how hard it is to score a book deal—especially as a fiction writer without an author platform. We agree; it’s not easy. You need talent, a great book proposal (natch), perseverance, and also the luck to land on the right desk at the right time. But there’s something else that is often overlooked, something that can help your chances of being noticed and signed by an agent or publisher: publication in a literary magazine. Sure, The New Yorker and Harpers publish short stories, mostly from established writers (though that shouldn’t stop you from trying). 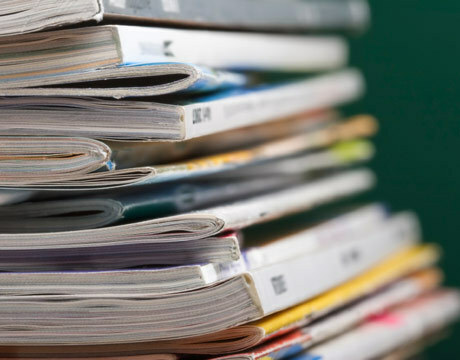 But what we’re talking about here are the many well-respected literary mags that pride themselves on showcasing short fiction from all sorts of writers, magazines like Glimmer Train, Chicago Review, Ploughshares, Zoetrope, Tinhouse, and Zyzzyva. McSweeney’s Quarterly trumpets the lovely philosophy that they’re “committed to publishing exciting fiction regardless of pedigree.” There are many more to choose from, including a wealth of regional options, from The Seattle Review to the South Dakota Review. Yes, most literary magazines are small in circulation and have little (if any) money to pay you. But publication in one ups your literary cred significantly. Remember, these mags are used as scouting grounds for young, hungry agents and editors looking to make their mark. Think about it: You’re new at an agency or publishing house, and you dream of discovering an unknown writer and signing him or her to a book contract before anyone else does. Where’s a good place to look? The pages of these magazines. So even if you’re knee-deep in your novel, consider whether you have a short story that you can polish to a high shine and start shopping around. If you’re able to get it published, you just might get a call from an agent trying to pitch you, rather than the other way around. 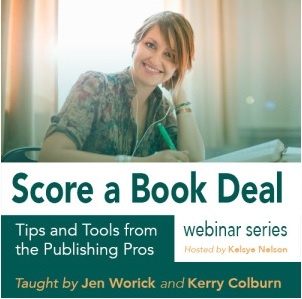 Authors and industry experts Kerry Colburn and Jen Worick share insider information to help you get published. Through talks, workshops, private consultations, and online offerings, this dynamic duo helps burgeoning authors craft a winning proposal, build their platform, choose the right publishing route, and realize their literary dreams. Contact us at jenandkerry@gmail.com. · Prepare to get published!